A local developer has purchased a more than 40-acre parcel of land on East Main Street in Wallkill for construction of a future indoor waterpark. According to the MidHudsonNews, “town officials have been lobbying waterpark operators in Wisconsin to consider Wallkill for a park and even took a delegation to the Badger State and invited a group to come east to check out Wallkill.” Wisconsin waterpark operators have been recognized for superior waterpark facilities. “This looks like it would be a collaborative private effort and would be a local success story or someone partnering up with the people that we were able to put them in connection with out in Wisconsin and someone in Wisconsin who has been very successful in the indoor waterpark community bringing the tools, skills and resources here,” Depew said to MidHudsonNews. Greenwood Lake will receive $75,000 through the state Municipal Grant program to construct sidewalks and retaining walls along Waterstone Road, reported the MidHudsonNews. Currently, a bridge sidewalk ends, and pedestrians must walk on the road on a blind curve, creating a safety issue and dangerous conditions. “The shovel ready sidewalk project will make one of the largest safety improvements in well over 10 years for our village,” said Mayor Jesse Dwyer to the online news media. Members of the Port Jervis Common Council told the Pike County Dispatch that the state has mandated a a cap on tax increases of .12 percent. The council discussed a local law at the Feb. 8 meeting that would override the cap but tabled the law’s adoption. The Montgomery Planning Board approved a 248,000 square foot facility for FedEx on Feb. 8, reported the Wallkill Valley Times. The ground distribution facility on 44 acres on Neelytown Road will include 63 loading docks. The Planning Board reviewed its decision of a negative declaration as to SEQRA and grant the necessary approvals, as various items were called out for attention as conditions, from measures to ensure the project does not negatively affect the habitat of endangered species (Indiana bats are located within a mile of the site) to shielding neighbors from the noise of incessant backup alarms. FedEx agreed not to ask for tax incentives from the Industrial Development Agency. Wallkill’s Korn Campground in Howells received a walkthrough from four campground managing companies that are interested in a bid to manage, reported the MidHudsonNews. The Korn family sold the 75-acre campground along the Wallkill River to the town for $680,000. A mandatory walk-through on Feb. 12 was led by town supervisor Dan Depew. “One thing that everyone kept saying as they were walking the place was how beautiful it was and we feel very confident that one of those four will end up with the winning request for proposals that we are looking to open on March 2nd,” he told MidHudsonNews. Depew would like to open the campground for the summer. State police say two workers from a fire extinguisher factory are hospitalized with severe leg injuries caused by an explosion. Troopers say 23-year-old Frank Buono of Goshen and 35-year-old Christopher Foust of Warwick were hurt in the accident at Oprandy’s Fire Equipment in the Town of Wallkill on Feb. 12. State and local police responding to the scene used tourniquets on both men’s legs while waiting for emergency medical technicians to arrive. 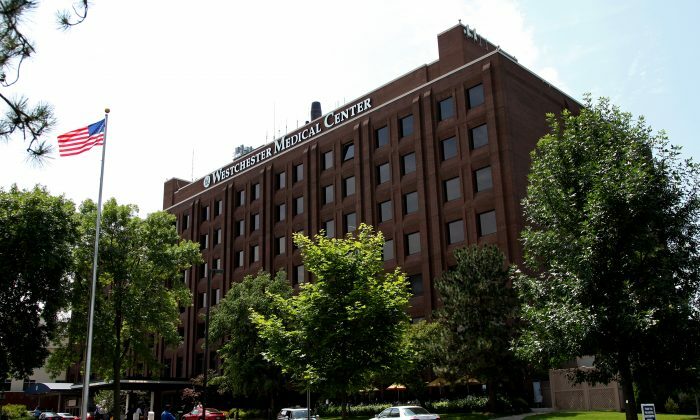 The men were flown by helicopter to Westchester Medical Center, where they were listed in serious condition Friday afternoon. Troopers say Foust was filling a fire extinguisher with air when the tank ruptured, causing the explosion and injuries.